As we began our renovation project, something that was important to me was the selection of our thermostat. I know most people don't put a lot of energy into that selection, but it was something I wanted to get right. The obvious hipster solution would be the Nest Learning Thermostat, and the first part of this post is going to tell you exactly why I didn't make that choice. The first generation Nest was introduced at the end of 2011, but had some important limitations, like the fact that it couldn't control 2 stage air conditioning systems. The second generation Nest, introduced about a year later, was a more powerful device that could control modern multi-stage systems (2 stages of cooling and 3 stages of heating). The 2nd generation device even got a software feature that my $60 Honeywell thermostat had in 2003: "smart recovery" (Nest calls it "Early-On"), which basically means that instead of just having a schedule of times to change temperature set points, when it's been offset (turned warmer while you're gone in the summer or cooler while you're gone in the winter), it will achieve the desired temp at the requested time. Basically, with cheap programmable thermostats (and expensive 1st gen Nests), if you know you get home at 6:00 pm every day, you need to set the thermostat program to a lower temperature sometime before 6:00 to be sure it gets to your temperature by 6:00, and if you want to be SURE it will get there on the hottest days, you need to set it pretty early, maybe 4:00 just to be sure. With smart recovery the thermostat control logic determines load vs. capacity for your system dynamically and predicts how early it needs to start running to achieve your temp at 6:00. Some days it might be fine with 5:45, while other days it might have to come on at 4:30. This is a really important feature if you want to confidently offset your temperature significantly while still being comfortable when you're home. Without smart recovery you're less likely to offset significantly, and you're going to reap smaller rewards from offsetting because you're going to program to start recovering too early. It's a basic enough feature for a premium thermostat that it's embarrassing that it wasn't included in the first generation product. The big selling point of the Nest is that it figures out home usage patterns by using motion sensors to determine when you're gone, allowing it to determine your schedule for you, and addressing the biggest problem with programmable thermostats: people don't actually use them to offset. The nest starts offsetting for you and learns how much it can get away with before you start adjusting it. The more it gets away with, the more little green leaves it rewards you with to let you know how it's saving you money. I'll be honest: this is the point where my eyes glaze over on Nest. I'm not an idiot, and I don't need an idiot's thermostat. My thermostats have always been programmed, and, unlike the first gen Nest, they've always included smart recovery capability. For me, comparing the Nest to a sub-$100 Honeywell thermostat from Lowe's yields: Nest has wifi (that's good), nest is pretty (sure), next costs 4X more (uh, why?). In addition to not looking as pretty, being a relic from 2009, the wifi support is 802.11g, not 802.11n, which is a bummer for some technical reasons. The Smart's interface is also a resistive touch screen instead of a capacitive touch like the Nest's. In layman's terms, capacitive touch is what has made smartphones so responsive and what made the iPhone so different, as it was the first big product to use capacitive touch. Finally, the Smart wasn't available at the Apple Store. Smart is more than a name. The Smart's software includes all the basic things you expect a any $250 thermostat to do. Smart recovery, humidity control either using your existing air conditioner or a dehumidifier and humidifier, smartphone integration, home automation integration, consideration of current weather and forecast in scheduling, etc. Web programming. For whatever reason, maybe the same one so many VCR's used to flash 12:00, many people don't program their thermostats, but the Smart makes it really easy to do. You can basically get as sophisticated as you want and it's really slick and easy to do just by dragging with your mouse. Reporting. The online reporting with any ecobee is really slick, but if you want you can download all the data from the system into a spreadsheet and analyze it. Basically you can see exactly what your thermostat was doing in 5 minute intervals for as long as you've owned it. Multiple inputs and outputs. This is what really sold me. With the Smart you have discrete inputs and outputs that can turn things on and off or monitor whether things are on and off, and with the optional Remote Temperature Sensor Module you can hook up extra sensors for different rooms of your house, or OAT, or attic temperature, or whatever. Now things are interesting. For our house, we added two Honeywell C7189U1005 Temperature Sensors, one in the master bedroom, and one my office. That way, at night I can control the temperature of our house based on our bedroom temperature, and during the day, when I'm working from home, I can control the temperature of our house based on my office temperature. This is the killer feature that every home should have, and for me it was worth not getting rewarded with green leaves and having a less attractive device on my living room wall. After I made the decision, Honeywell introduced the Lyric WiFi-Enabled Thermostat, which gave me pause. The Lyric looked attractive, modern, and had some functions that didn't exist in the Nest or Smart. I really liked the idea of their "Fine Tune" feature, which adjusts setpoint based on things like "is it particularly cold outside?" or "is the humidity running a bit high in your house right now?" In the end, while the Lyric promised to be better than the Nest, sensors in all the important rooms was the killer feature, and I stuck with my 2009 thermostat, and I'm pleased with the selection. There's really no substitute for controlling the temperature in your actual location. Finally, a bit of a spoiler for a future post. If I were choosing today, I wouldn't choose the Smart. 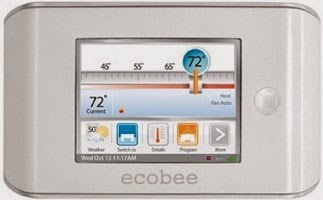 In September ecobee introduced the ecobee3 Wi-Fi Thermostat with Remote Sensor. Unshockingly, they reached the same conclusion I did with regard to what the killer feature was for a thermostat: controlling the temperature where you're at, not where the thermostat is mounted to the wall. The ecobee3 supports wireless sensors basically wherever you want them, and uses motion sensing to follow you around your house. Their slogan is "For Homes With More Than One Room." I have one sitting on my desk for a customer's home and will write about it soon. The ecobee3 is attractive, modern, oh, and for you hipsters, it's now sold in the Apple Store. Like many of Amazon's products, they didn't create the product category. Roku launched the category in 2012 but it didn't take off due to issues with MHL (discussed below). Google popularized it with their Google Chromecast last year, and Roku followed up with an improved stick earlier this year, the Roku 3500R Streaming Stick. Similarly Amazon's own Fire TV box was already aimed squarely at the Roku 3 Streaming Media Player and the Apple TV boxes. First, a little background: Roku and Apple both have both been in the streaming box market for a several years. Apple's device, which has been through several revisions, has been a relatively nice device for people who really are embedded in Apple's iTunes ecosystem, but the current device is pretty long in the tooth. Expect Apple to update it in 2015. Roku has been the "every man's" streaming box for several hardware generations and even my parents, who were both born in the 1930's, have a Roku. Both boxes have the downside of, well, being boxes. 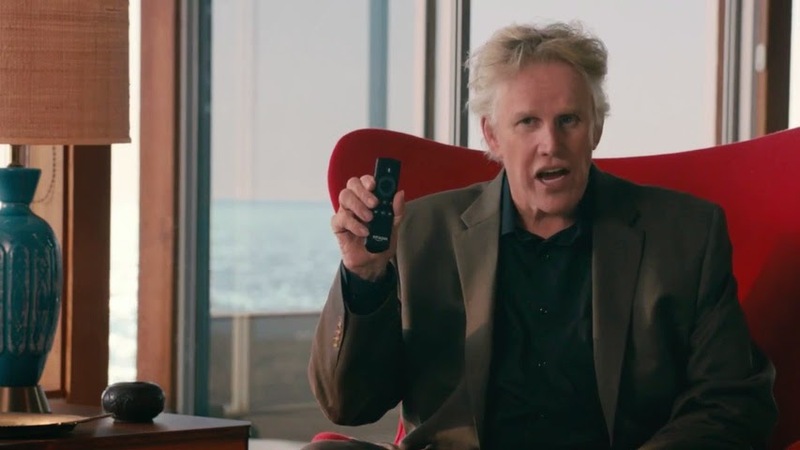 After Roku's first attempt at creating a Roku's stick, Google created the Chromecast, which is also a little dongle that plugs into an HDMI port and hides itself away behind your TV. 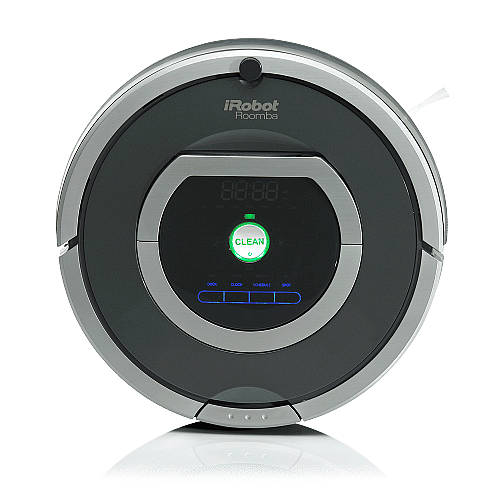 It has some pretty cool features, but is very dependent upon your using phone or tablet for interface. Roku's "we can fit our Roku box into an HDMI dongle," like the Roku box, gave you a remote control, and the second generation product avoided the problems of the first gen product. That gets us to Amazon. Earlier in 2014 they announced the Fire TV, a direct competitor to Roku. Running a modified version of Android Open Source (like the Kindle Fire tablets that share the Fire name), the Fire TV was aimed directly at the streaming box market with a bit of a twist. Amazon is trying to sell their own media services, including video, music, and their own Android app store, so they made their box significantly more powerful and included the option to buy a Amazon Fire Game Controller for playing Android games on your TV. As you can see from the picture, there's quite a lot in the box. There is the stick itself, along with an extension cable in case you are installing in a location that makes it difficult to plug in everything. There is an RF (Radio Frequency) remote that allows you to control the unit. Most remotes use infrared (IR) so they require a sensor on the device to have line of sight to the remote. RF gets around that at some expense. Finally there is a USB cable/wall adapter to power the device. Amazon recommends (repeatedly) using their wall adapter. As I touched upon a little in the Leviton USB Outlet post and the Better Car Charger post, USB power varies. As you may recall, the base USB spec is 0.5A (2.5W), and 100mA (0.5W) before "digital negotiation." There are USB charging ports that gets us as high as 7.5W (depending on the design) without negotiation, and then there are crazy things like current generation iPad chargers that go all the way up to 2.4A (12W). Amazon is saying "we know our adapter is 5W, but we can't promise anything for any others." That doesn't mean you won't be A-OK plugging it into a USB power port on the back of your TV like the one my newer Samsung TV has, but you should understand that things might not behave correctly and plan accordingly. Finally, I mentioned MHL and Roku in the opening. You may not know about MHL (Mobile High-Definition Link), and I'll spare you the details, but MHL is a standard that is related to HDMI and includes sourcing power. The first generation Roku stick used MHL and it caused all sorts of issues. Most TV's didn't support it, and there are different versions which have different power levels (sound familiar?) and it was generally an unhappy deal for Roku as an early adopter. The Chromecast, newer Roku and Amazon Fire sticks don't bother with MHL, and instead source power through the aforementioned micro-USB power. Ironically, newer TV's are supporting MHL (my Samsung has MHL support on one of its HDMI ports) just in time for this abandonment. It will be interesting to see if the USB ports become unnecessary in the future. Setup is super easy. You plug everything in and turn on the TV, selecting the correct HDMI port. The device discovers your wifi network and connects (you have to peck in your security code with the arrows on the remote and an onscreen keyboard), it plays a little intro cartoon and you are quickly to the main screen, where Amazon media sources are prominently displayed. All the usual suspects are there, Amazon video purchases and rentals, Prime Instant Video, etc. Beyond that, everything else, like Netflix, involves downloading apps. After you set up your home automation (HA) hub, in our case, the SmartThings Hub , one of the first things you're going to want to do is automate things based on your presence. You'll want to have the lights come on when you come home, offset the thermostat when you leave, etc. With a little work, you'll have the house behaving much differently when you're home than when you're not home. The real question of course is, "How does it KNOW?" The answer is that there are all sorts of ways. If you're familiar with the Google/Nest Labs Nest Learning Thermostat (not a recommended product), you know that it uses motion sensing to know if you're in the room with it. Of course that's a pretty limited way of doing things, which fits right in with the Nest, but we'll get to thermostats in another post and I'll explain why Nest is at least 3rd on my list of recommended thermostats. There are better was, and the SmartThings software offers several solutions. Open the app and set the status to default "I'm Back!" or "Goodbye!" events and trigger whatever actions you've tied to it. OK, let's face it, you're never, ever, ever going to do that. What good is home automation if it's not automated? #3 is at least partially a sign of where HA technology and consumer understanding of it is at, and is why every time I talk about a device, I specifically talk about how it connects to your home network of networks. ZigBee is a mesh network. The devices are low power and also short range. Because of this, all the devices on your network talk to each other and pass their various messages along through your house. They connect to your main home network (the one your computers and other WiFi devices are on) through your home automation hub, but if the hub and the device are too far apart, there has to be another device in between to relay the messages. With respect to the SmartSense Presence Sensor , that means that if you don't have many ZigBee devices (and remember, there are actually several different profiles of ZigBee that don't all talk to each other or SmartThings), and your hub is back in your nerd closet, it might not reliably know you're home. Complicating all of the above is that there are actually different ZigBee profiles that don't necessarily talk to each other, so a ZigBee Home Automation device (like this one) won't talk to a ZigBee Smart Energy device, etc. You need to consider things like this when applying the device, and it's annoying. Beyond the SmartSense Presence Sensor , there are several other options. One of the most interesting is simply using your phone to geofence your house. Modern smartphones have "location services" that track the phone's location as you move around using a variety of methods (GPS, identities of in range WiFi networks, Bluetooth beacons, and cellular tower signals), and one of the applications that has been increasingly applied over the last few years is what's called "geofencing." Basically is creating a "fence" around a location and triggering when the fence is crossed. In this application, we create a fence around our home, and trigger a present/away event when we cross it. The first option for doing this is the SmartThings app itself. When you set it up, it locates your home and lets you set a radius for sensing presence, and you can always modify this in the main settings for the app. Now, from the main screen, or "Dashboard," we hit the big plus sign to add a device, scroll down to presence sensors, select our phone, and "connect now." Easy peasy, lemon squeezy, right? Now you go to your wife's phone, log in with your email and password, rinse and repeat, right? BZZZZZT. Apparently SmartThings has decided that this isn't the way it should work. When you take this path the app complains that there is already a device named "Colin's iPhone." Never mind that I'm on Courtney's iPhone, no matter how many times you try, it complains of the same thing. It turns out, you have to log into each device with a separate email address, which is "invited" from from main account. Why? I'm really not certain. It's an irritating enough issue that on the SmartThings online forums, there is a thread titled, "Setting up multiple iPhones (separate linked accounts) as presence sensors for dummies." Yeah, that's what I went and found when it didn't work the way I expected. Another method of presence sensing is through SmartThings integrating the Life360 app, which integrates with the SmartThings hub via "cloud to cloud" integration. Life360 lets you do all sorts of things to keep up with your family, including sharing to-do lists, grocery lists, and tracking when family members come and go from your home. You can leverage this tracking instead of using the built in tracking functionality. I'll be honest, at this point I'm not sure why I would prefer one over the other, but I've verified that this method works. OK, this post has gotten pretty long, but presence sensing is one of the core inputs for home automation, so I wanted to get a thorough foundation, plus the SmartThings software didn't work as expected. In the next HA post I'll actually talk about applying the presence sensing to make some things happen. I went with SmartThings for a number of reasons. It was one of several solid choices that would tie into a variety of the more popular automation standards, its smartphone app is less panned than some of the others in the online reviews, and, important to me but not necessarily everyone, or even most people, it has a strong developer community so that you're not stuck with limited support for various devices, but can install homebrew applications to let you do particularly gee-whiz stuff. That's a technical term. Also, SmartThings is kind of the original product in this category and was started by a "Kickstarter" campaign, which just kind of makes it cool, and they don't take themselves that seriously, as indicated by statements like "time travel is still in beta" in their FAQ. From here, you can touch the big green circle to turn the switch on and off, and you can go into "SmartApps" to set up behavior. I created custom apps named "Christmas Tree On" and "Christmas Tree Off" only to find an annoying limitation. I could set the switch to come on based on any number of triggers, including the ones that would be useful in this case, like time, sunrise, sunset, etc., but for each of the time related categories you could only select one time. The option was either to create "Christmas Tree On 2" and "Christmas Tree Off 2" or to set both a time and a sunrise/sunset trigger for on an off. I chose the latter, with the tree coming on and off before and after sunrise and on and off at fixed times in the evening, but for other things you may have to set up multiple types of events. If you want something to happen on the hour every hour? Prepare to create 24 "SmartApps." That's a little less "Smart" than I would have liked. Once it was done, it worked like a champ. You get a log of power usage in Watts every 5 minutes (this logging might be configurable, I haven't played with it) and a recording of every on/off event and why it was triggered. So, mission accomplished. We've installed our SmartThings Hub, paired a device, and configured that device to do what we want. As my son would say, "easy peasy, lemon squeezy." I just posted that the biggest problem with your A/C system is probably that it doesn't control humidity well. We will get back to HVAC in some future posts, but a sort of offshoot topic from the last post would be "how can I reduce the amount of humidity that my A/C system needs to remove?" Many of the sources of humidity aren't going anywhere. You are major source through respiration and perspiration, cooking dinner, washing dishes, etc. are also major sources. Nobody is going to stop doing those things. Finally there is showering. Obviously (I hope) nobody is going to stop showering in the name of reducing indoor humidity levels, and you probably even realize that your bathroom has an exhaust fan in it, as required by building code. One of the two reasons bathroom fans exist is to exhaust moisture, but my experience is that people don't tend to use their fans as much as they should. One reason is that the fans tend to be pretty cheap and are installed "just well enough to meet code", but that's a subject for another day. The second big reason is that there's nobody to come in behind us and shut the fan off. The switches we selected from Lutron fit into a "decora" style switch plate and allow you to easily select a run time for the fan. Each time you press the panel, the fan will come on for the last selected run time, so for instance, in our master bath, I can walk in in the morning, hit the switch, and the fan will come on for the next 20 minutes, allowing me to shower and allowing time for the fan to run after I shower. In our powder room, where humidity removal isn't the purpose, you can run the fan and then easily select an amount of time for the fan to run after you exit. Besides the obvious ability to set the timer, the LED's on the side show how much time is remaining as the timer counts down and, when it hits the one minute mark, there is a slight pause to let you know that the fan is about to turn off. It's definitely a nice product that works well for the purpose that we intended, and it would be easy enough to retrofit into any bathroom. We put them in all of ours.